As a journalist I do a lot of travelling around – attending press conferences, staying in foreign hotels and sometimes enjoying the odd freebie (more of that later). At the same time, it’s always good to have a bit of a down time, watching movies, playing games or catching up with TV programmes on the iPlayer. So when Asus asked me whether I’d like to get my hands on a device that can be used for both work and pleasure I jumped at the opportunity, especially as it meant that I’d also get a chance to watch Spandau Ballet at the amazing Eden Project. OK it’s been a while since I’ve listened to Spandau Ballet and I’m not really a massive fan of their later stuff, the big cheesy hits like Gold and True. But you really can’t beat some of their early 80s dance stuff when they were still proper New Romantics. 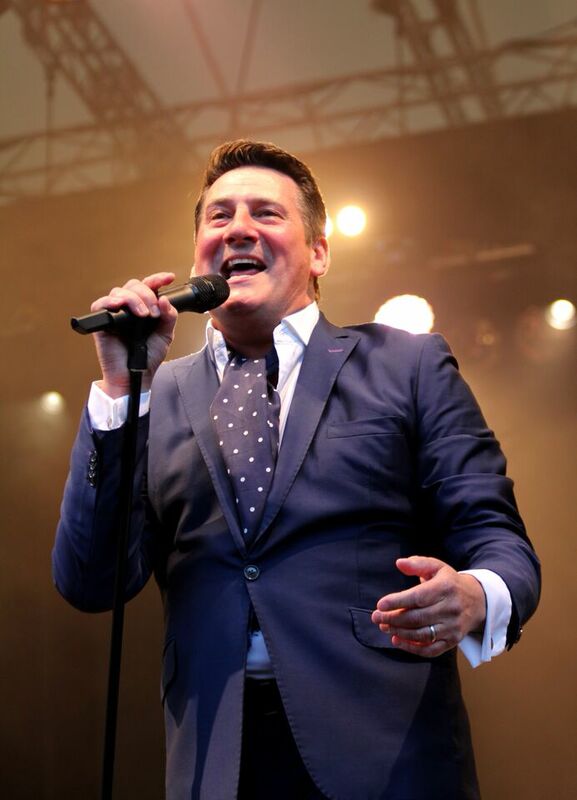 Tracks like Too Cut A Long Story Short and The Freeze, both from their first studio album, the excellent Journeys to Glory, still sound great to me and Tony Hadley’s voice is actually better than ever. Fortunately at their Eden Project gig they had an entire ‘New Romantic’ section, dedicated to Steve Strange of Visage fame who sadly died recently. This year Asus sponsored a season of concerts at Cornwall’s Eden Project, starting in June with the likes of Paolo Nutini and Elton John and running through into July with Spandau Ballet and finishing with Ben Howard. Fortunately when we were there the weather was brilliant (which couldn’t be said for some of the gigs that were held there) and the atmosphere in the shadow of the distinctive ‘biodomes’ was electric. Another highlight was the accommodation. Rather than staying off site in a boring old hotel, we actually got the opportunity to sleep in a converted shipping container on the site of the Eden Project itself (I will upload the video to YouTube soon). While I was worried it might be a bit airless and claustrophobic, like I was stowed away in an actual shipping container, nothing could have been further from the truth. Called Snoozeboxes these converted containers are actually really rather comfortable complete with air conditioning, flat screen TVs, wet room and even daylight, courtesy of a round glass panel in the front door which could be covered over at night (the door opened automatically by swiping the contactless key card across the lock). You can see our YouTube video of the accommodation here. 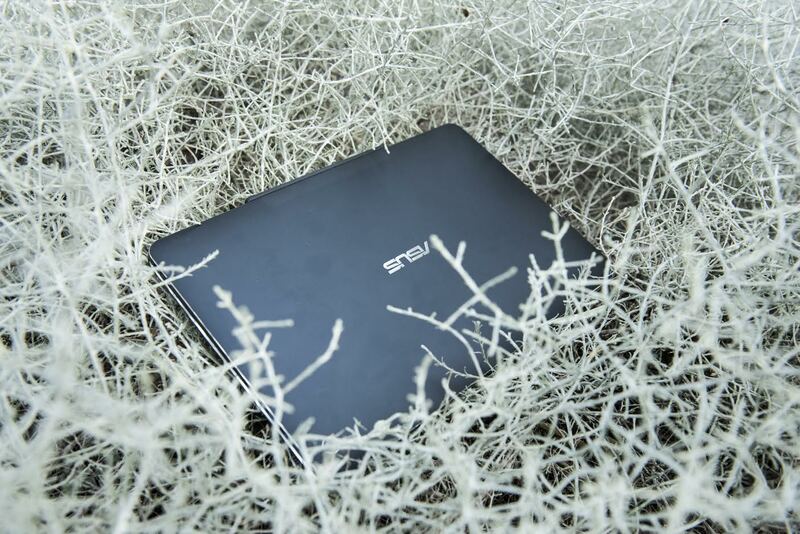 The Asus Transformer Book Chi. Is it a laptop, is it a tablet? Actually it’s both! They’re also run by the Youth Hostel Association (YHA) – certainly a bit different, and much more luxurious, than the kind of youth hostels I stayed in a kid. Although they don’t come with WiFi, there was a large main reception area nearby where they did have WiFi. Here I could test out the Asus Transformer Book T100 Chi (pictured above) before the gig. Using the keyboard I was able to use the device as a Windows-based laptop PC to answer emails, surf the web and even type up a bit of an article before heading to the gig. What’s really clever about the device is that you can detach the keyboard from the screen and just use the Transformer as a web tablet (hence the name). So I simply left the keyboard in the Snoozebox and headed down to the hill to the Eden Project to take a few shots of the band during the gig as well as film some of their hits being performed live using the 10 inch screen. All in all it was actually a great gig – the band putting aside their differences to belt out their biggest hits and looking like they were having fun at the same time. It was also a great introduction to the Asus Transformer Book T100 Chi which I’ve also just taken on holiday to Croatia with me purely for pleasure. It proved invaluable playing simple games on the flight using the touch screen display as well as enjoying YouTube videos with my 12 year old on an evening! Technology has certainly moved on a bit since the 1980s even if some of the music I listen to hasn’t changed a bit! Great write-up Chris and a real pleasure to meet you both at The Eden Sessions!